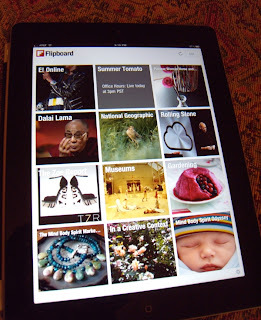 If you have an iPad and enjoy the Mind Body Spirit Odyssey, did you know that there is a really cool way to access the blog and keep current with our articles by using the Flipboard App? All you have to do is download Flipboard, hit edit, select a blank square that says "add a section", type in Mind Body Spirit Odyssey and our blog will appear as one of your selections (it's in the last row lower right in the photo). I recently discovered this totally by accident, and was simply blown away with how beautiful our material looked! Flipboard will give you the ability to read our content in a magazine style format which will update every time we post something new. As you can see from my sample page on the left, below "The Zoe Report" on the bottom left - next to "In a Creative Context", I also added The Mind Body Spirit Marketplace our Fan Page on Facebook. The Marketplace magazine updates every time someone posts something new on our Facebook Page. The Mind Body Spirit Odyssey has articles going back for over two years and there really is a variety of interesting material to read. Lifestyle and diet articles, interviews with authors and healers, book reviews, interviews with visionary artists, inspirational prose and stunning visual collection of artwork and photography! 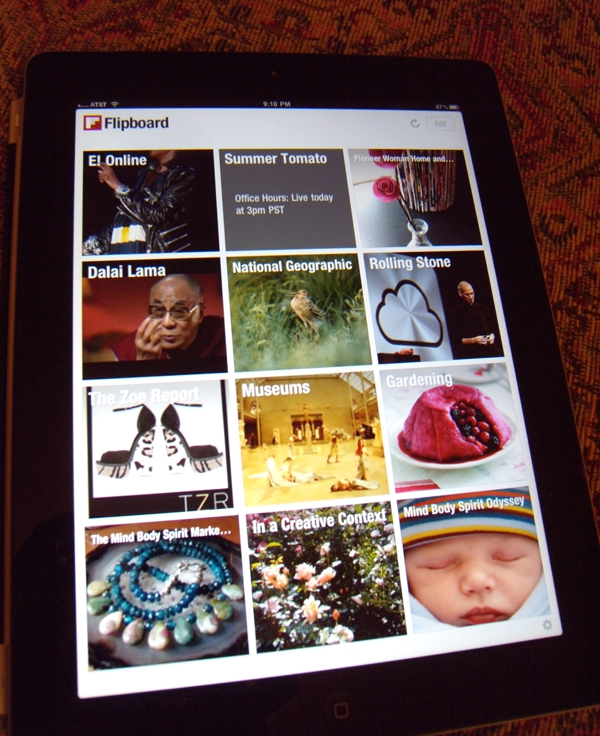 If you are an iPad or iPad 2 user...definitely give it a try! It's free, why not?